Ashwini Kumar Choubey is contesting the Lok Sabha election from Buxar seat in Bihar. 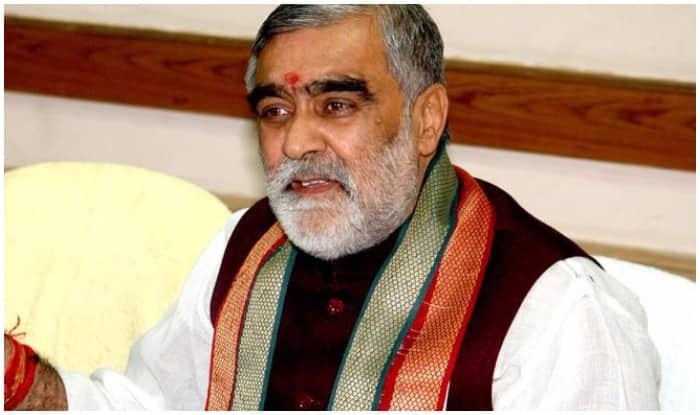 New Delhi: Union Minister Ashwini Kumar Choubey, who is contesting Lok Sabha election from Buxar constituency in Bihar stoked a fresh controversy by wrongly advising RJD chief Lalu Prasad Yadav’s wife and former Chief Minister Rabri Devi to remain in veil. “Rabri Devi ji ko kya kahiyega, vo toh bhabhi ji hain. Main kahunga ki aap ghungat mein hi rahiye toh zyada accha hai. (Rabri Devi is my sister-in-law, she should remain in veil),” Choubey said while addressing a rally in Sitamarhi parliamentary constituency in support of the Janata Dal-United (JD-U) candidate. Earlier last month a video of Choubey threatening a Sub District Magistrate (SDM) after being stopped for allegedly violating the Model Code of Conduct went viral on social media. In the video, Choubey, a minister of State for Health and Family Welfare, was seen indulging in a heated argument with the SDM KK Upadhyay after the government official stopped his convoy and attempted to apprise the Union Minister about election commission’s order.